November 13th, 2016. What’s for lunch? 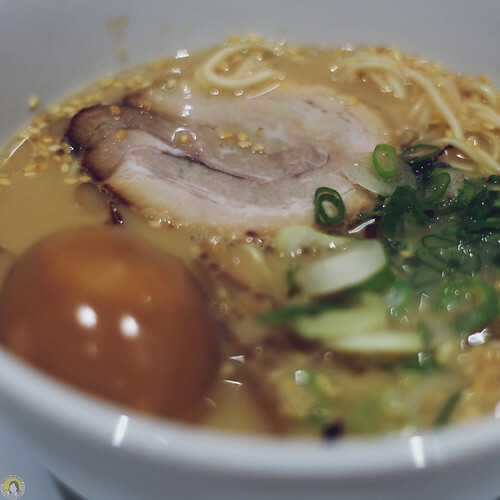 My hubby craved for ramen since the first time we arrived in Singapore. 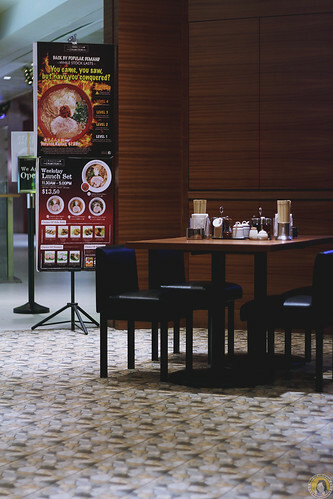 So I looked for delicious ramen around our hotel. How? Googling hahahahaha. 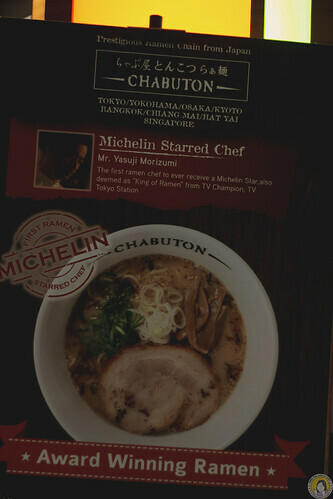 Actually, the day before, a friend of mine, @nestdarmawan from Singapore told me about a new ramen nearby. 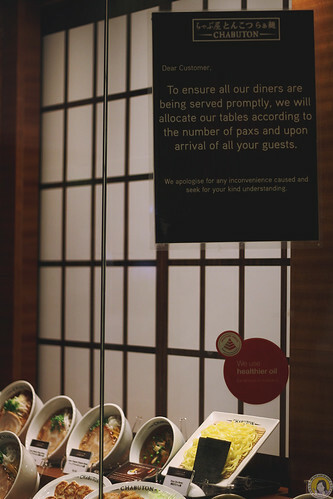 But it’s new, and Michelin-Star ramen place. It must be crowded with long queue. 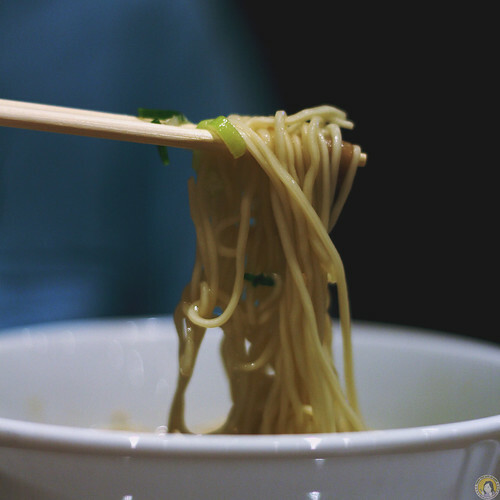 I searched around Somerset, and I found this last year Michelin-Star Chef in the ramen place. 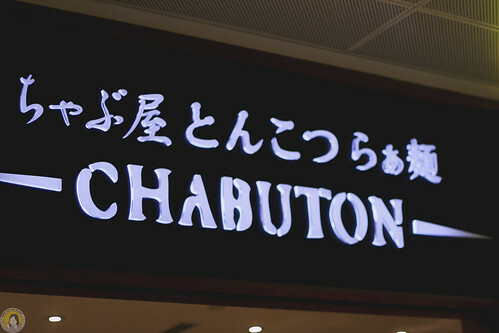 Chabuton. 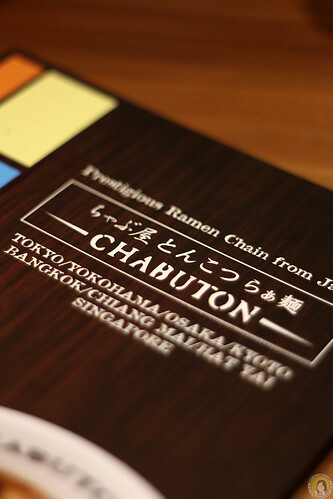 Chabuton – the ramen restaurant that created a great wave in the ramen industry in Japan and Thailand, is finally here in Singapore! 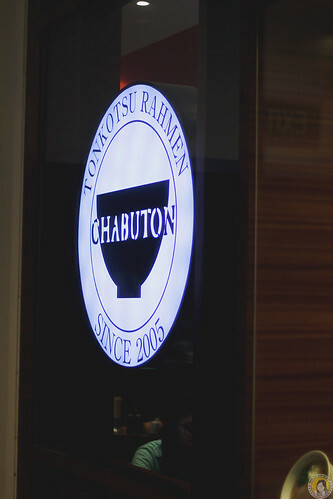 Chabuton is the brainchild of a chef who was named “King of Ramen” by TV Champion, a well-known TV program among gastronomes in Japan. 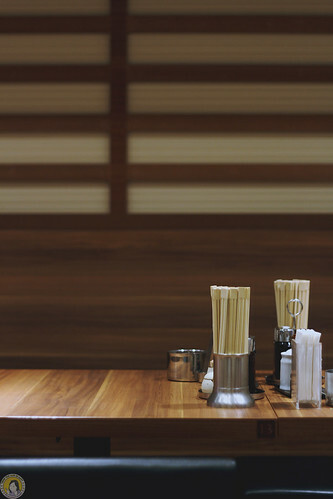 He is the owner of the first ramen restaurant appeared in the Michelin Guide; his other ramen joint in the U.S. has been featured in Zagat LA (the world’s most respected source of tourist spots and restaurants in the US) for three years in a row too. 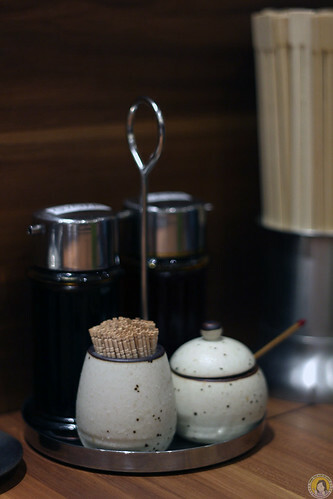 The chef’s recipes are his secret in achieving all these recognitions. 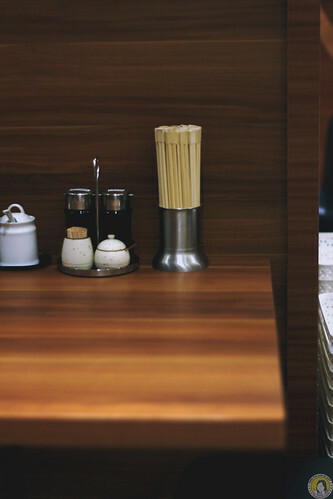 Located in 313@Somerset, we were so happy to find this ramen place. It’s very near our hotel, so it’s easy to find it. We just went down the mall and found the place in the corner. A nice warm place. 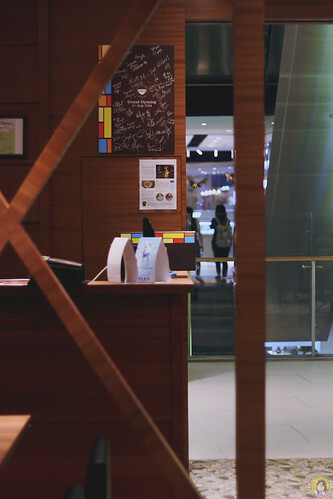 There’s funny moment when a server lady shouted greetings to customer, and we were both jump because of her loud noise. Hahahaha. 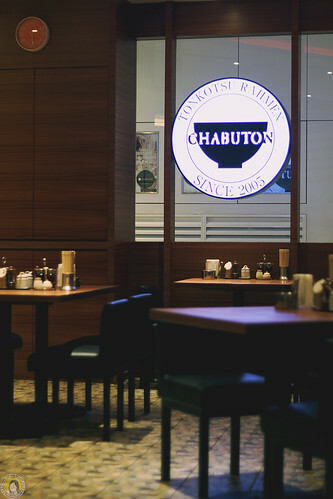 When I took pictures, the old guy told me to NOT taking pictures of the customers. I said, “Yes, Sir. I know the rule.” And he said to me nicely, “Yes yes yes. You know they don’t like to be captured by strangers.” Nice person. Big glass. 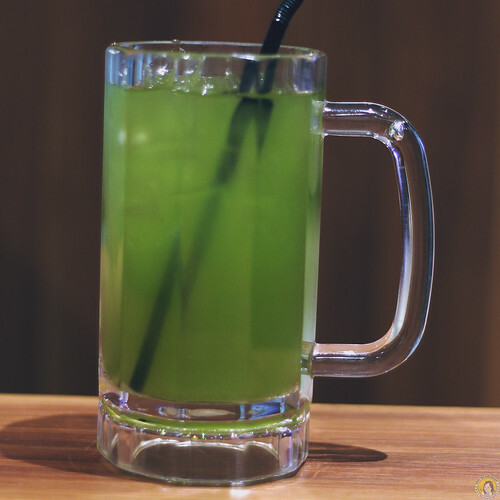 The green tea was very green. It’s really good. 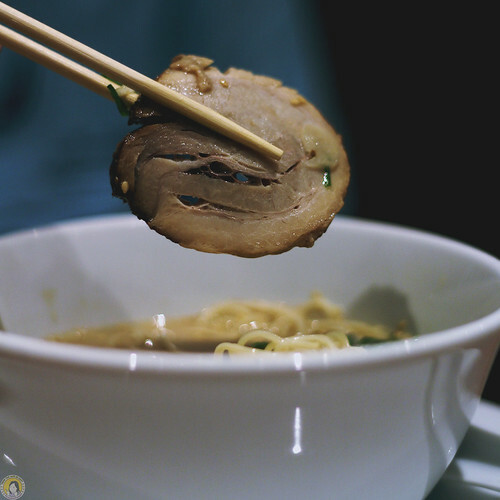 Love the texture of the ramen. I love small noodle. 🙂 And the broth were delicious. 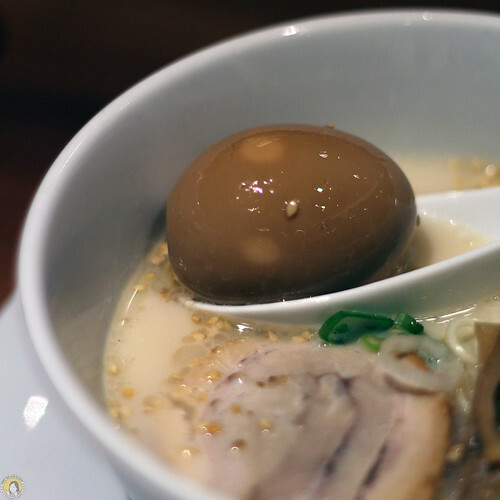 I prefer the tonkotsu but the shio was also good. The char siew was perfect. 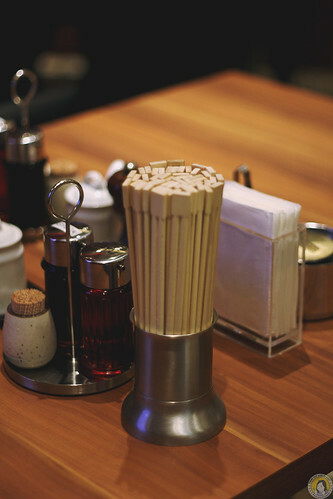 Suprisingly the bamboo shoot were soft and I finished them all. I ordered 1 tamago because my hubby said he didn’t need to eat tamago. So, I ordered 1 for both of us. It was half-cooked perfectly. 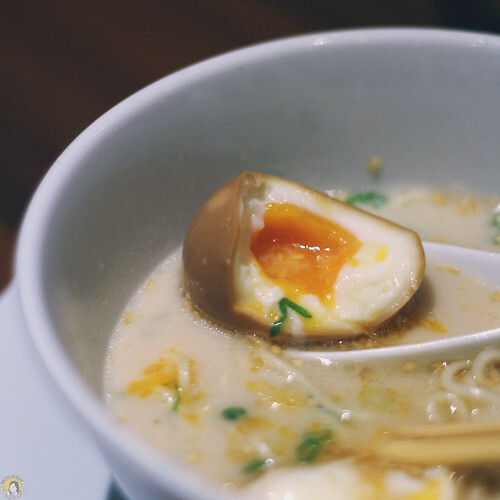 Happy to see the melt egg-yolk inside the egg. So beautiful. Worth to try!